Turkey is a well-known component of the North American diet. Often enjoyed during thanksgiving feasts and Christmas dinner, to the tune of 46 million and 22 million turkeys consumed during each respective celebration yearly, turkey is very popular! In fact, turkey is the 4th most popular choice of protein in the United States, after chicken, beef, and pork. It is not just a delicious part of the holiday season, either. Turkey is a rich source of protein, with more per gram than either chicken or beef . Along with being low in sodium, skinless turkey breast has fewer calories than many red meets. It is additionally a good source of riboflavin, a vitamin that plays an important role in many enzymatic reactions in the body, and phosphorus, a macromineral that is necessary for healthy bones and teeth, as well as being a building block of our genetic material! Turkey is also a rich source of the trace element selenium, which plays an important role in amino acid synthesis for muscle health . Figure 1. An image of a traditional turkey dinner. APhosphorus can be found in every cell in the body. It is a component of your body's metabolic material, perhaps the most important of which is adenosine triphosphate, or ATP. ATP is the universal metabolic currency: a nucleoside triphosphate molecule that is an end product for a plethora of metabolic activities in the body. These activities include cellular respiration, which is the conversion of nutrients from the diet into usable energy (ATP), to signal transduction, a complex chemical cascade where one chemical can be responsible for numerous effects in the body, such as cell metabolism, gene regulation, and even cell shape! It becomes clear that phosphorus and its molecular entities in the body play an important role in its functioning and health! Figure 2. A simplified schematic of the cellular respiration process. Turkey is a rich source of the trace element selenium. Just three ounces of boneless roasted turkey provides 44% of your daily-recommended intake . Why is selenium necessary? Perhaps most importantly, selenium exists in the body primarily as selenomethionine, where it is incorporated into body proteins. This means selenium is necessary for muscle health, and is mostly stored in the body's skeletal muscle. Researchers have also noticed that a particular selenium containing amino acid, selenocysteine, is unique in that it has its own unique mRNA codon (UGA) that specifies its insertion into the polypeptide, and is thus the only trace element found in the genetic code. To date, there have been 25 selenoproteins that feature selenocysteine in the active site of the aforementioned proteins . These unique biochemical properties have led researchers to propose that selenium and its related compounds may have complex anticancer properties. Rayman (2005) released a comprehensive review of selenium compounds' potential anticancer properties that spanned the gamut from the selenium containing enzymes glutathione peroxidases, which are antioxidant enzymes that, among many other functions, remove the strongly oxidizing and potentially carcinogenic compound hydrogen peroxide , to thioredoxin reductases, which are selenoproteins that possess a variety of "clean up" functions at the DNA synthesis level and help regulate gene transcription . These findings have led Rayman (2005) to conclude that selenium and selenium containing compounds play a key role in cancer development, and that certain cancer development is probably linked to inadequate dietary selenium intake . Nevertheless, selenium is emerging as a prominent and likely undervalued trace element that plays a part in a very complex and ill-understood nutritional mechanism. Figure 3. An outline of selenoprotein synthesis. Taken from Berry MJ: Insights into the hierarchy of selenium incorporation. Nat Genet. 2005 Nov;37(11):1162-3. 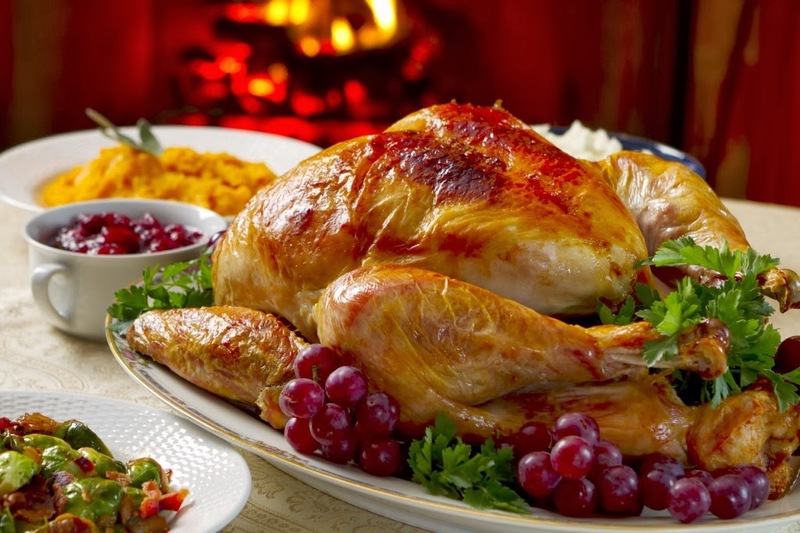 Debunking the Myth: Does Turkey Make you Sleepy? Figure 4. The molecular structure of L-Tryptophan. We have all been there: visiting our family or loved ones during a festive or holiday occasion, eating a delicious turkey dinner, and then feeling lethargic and sleepy afterwards. This sleepy and relaxed feeling is called postprandial somnolence. Popular culture has attributed this sleep inducing property of a hearty turkey dinner to the amino acid L-tryptophan, where "L" stands for "levo", referring to the chemical arrangement of the amino acid. Research conducted by Hartmann (1982) has indicated that doses of L-tryptophan in excess of 1-gram results in an increase in sleepiness and a decrease in the amount of time required to fall asleep . Obviously, the sleep-inducing effects of L-tryptophan have been confirmed by science. However, turkey contains no more L-tryptophan than other forms of poultry, it doesn't increase blood L-tryptophan levels more than other common foods, and therefore cannot be the cause of post-feast drowsiness . In fact, 4 ounces of roasted turkey only has 0.36 grams of tryptophan ! Modern data suggests that the postprandial somnolence felt after a hearty festive meal is more likely due to the ingestion of large amounts of carbohydrates, which affect sleepiness by indirectly increasing the amount of melatonin in the brain. In conclusion, it isn't the turkey that makes you sleepy after a generous meal, but don't let it stop you from enjoying the delicious taste! Higdon, Jane; Victoria J. Drake (2007). "Riboflavin". Micronutrient Information Center. Linus Pauling Institute at Oregon State University. Heaney RP: Phosphorus nutrition and the treatment of osteoporosis. Mayo Clin Proc. 2004 Jan;79(1):91-7. Papp, Laura Vanda; Lu, Jun; Holmgren, Arne; Khanna, Kum Kum (2007). "From Selenium to Selenoproteins: Synthesis, Identity, and Their Role in Human Health". Antioxidants & Redox Signaling 9 (7): 775-806. Rayman MP: Selenium in cancer prevention: a review of the evidence and mechanism of action. Proc Nutr Soc. 2005 Nov;64(4):527-42. DeSesso JM, Lavin AL, Hsia SM, Mavis RD: Assessment of the carcinogenicity associated with oral exposures to hydrogen peroxide. Food Chem Toxicol. 2000 Nov;38(11):1021-41. Allan CB, Lacourciere GM & Stadtman TC (1999) Responsiveness of selenoproteins to dietary selenium. Annual Review of Nutrition 19, 1-16. Diwadkar-Navsariwala V & Diamond AM (2004) The link between selenium and chemoprevention: a case for selenoproteins. Journal of Nutrition 134, 2899-2902. Hartmann E: Effects of L-tryptophan on sleepiness and on sleep. J Psychiatr Res. 1982-1983;17(2):107-13. Ballantyne C (2007-11-21). "Does Turkey Make You Sleepy?". Scientific American.